We specialize in archival inkjet, also known as giclée or pigment, printing and use archival grade inks and can print up to 44" wide. We offer a variety of Epson, Hahnemuehle, and Canson archival fine art papers as well as canvas, metal and fabric materials. We specialize in archival inkjet printing, also known as giclée or pigment printing, for reproducing photographic and fine art imagery. 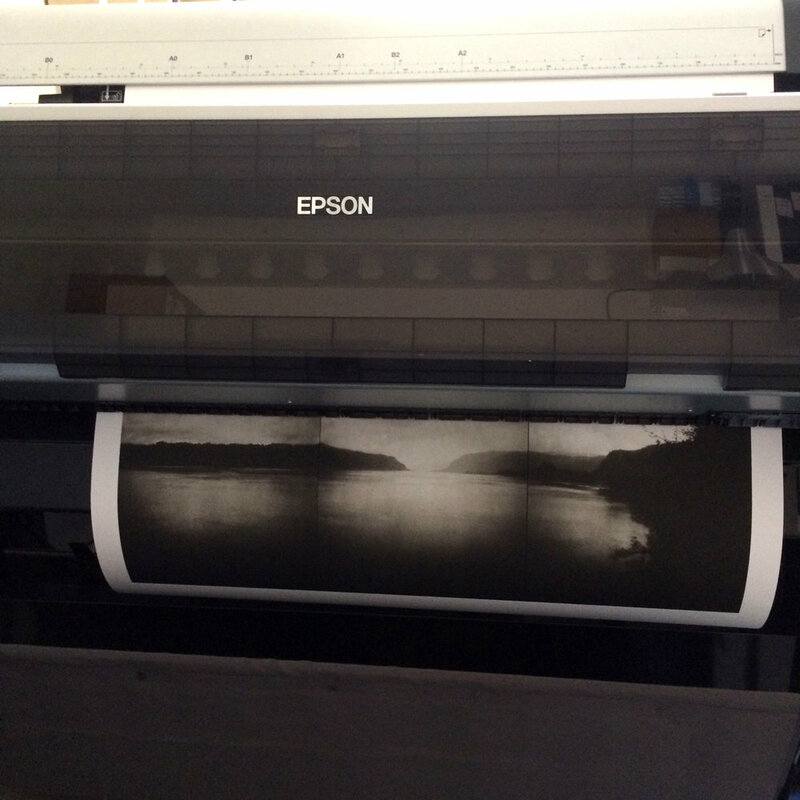 We use archival grade Epson Ultrachrome HDR inks and can print up to 44" wide. Our custom service allows you work directly with our expert printer to create the best possible prints. This collaborative process (done in person or remotely) allows you to access our fine art printing skills and technical expertise, and help you achieve your artistic vision. 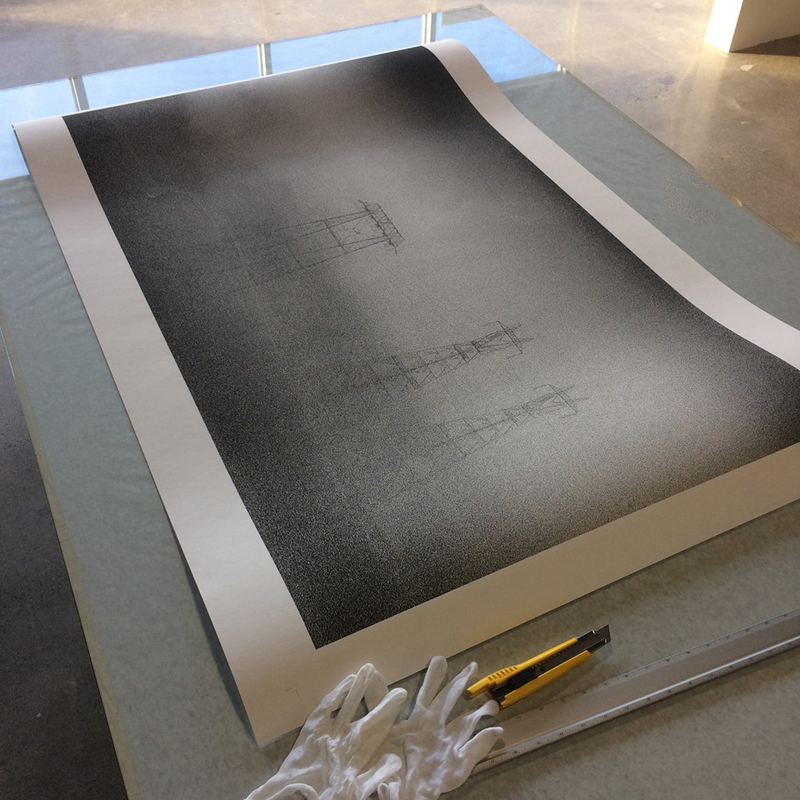 Proofing is a critical component of achieving a perfect print, and one round of proofing is included with prints on our fine art paper & canvas when printing 20x24" or larger. One 11x17" test print that includes an 8x10" full frame and 8x10" scale area is included using your chosen media and reviewed with you before proceeding with your final prints. If you're not local or able to stop in, we ship using FedEx and USPS. After your file print adjustments are complete, your master files are archived with us for easy reprinting! We offer a variety of Canson, Epson and Hahnemuehle archival papers as well as matte and luster Canvas. We are also offer a variety of fabrics, Japanese papers, Vellum, Mylar and Clear Film. Customers may provide their own paper for a discounted rate and we are open to working with alternative materials. We recommend coming in to look at our paper samples and discuss your project so we can guide you towards the best paper to suit your needs. We love to talk about printing so please contact us with any paper and printing questions! You can also read more about our paper selection below. Normal turnaround is two to three days. While we always try to return your job as quickly as possible, actual turnaround time depends upon quantity, paper stock, size of order, and current work load. Please call for scheduling if your job or project requires a quicker turnaround. Rush services are available. •We are able to print any size/ratio, these represent the standard sizes. Smaller sizes are also available. 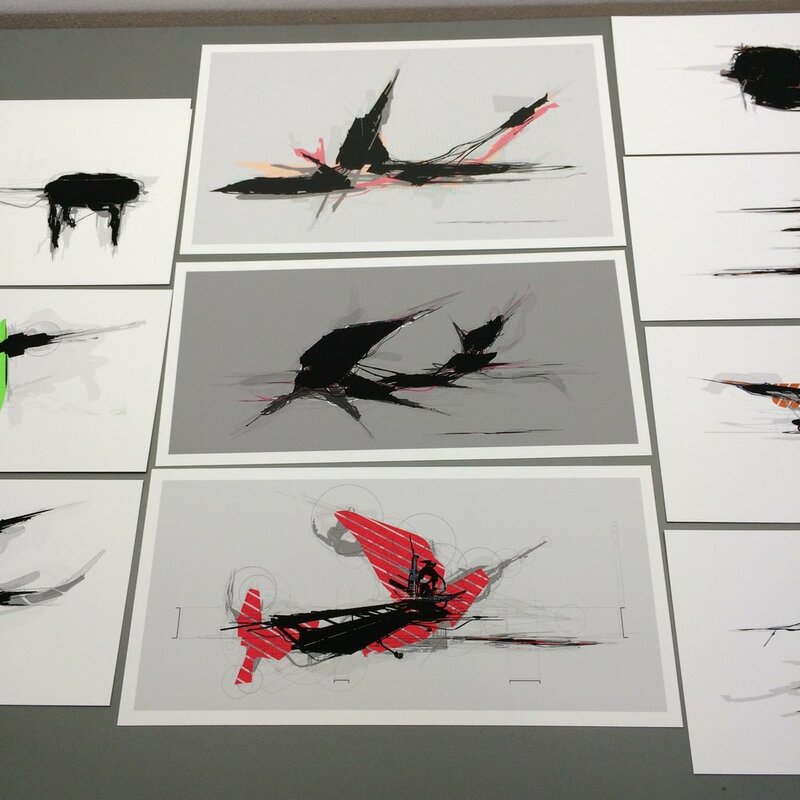 •One round of proofing is included for 20x24” and larger. Canson Rag Photographique is a 100% cotton museum grade white Fine Art and photo paper. The exceptional smooth white tone is achieved during manufacturing by introducing natural minerals to the process. It has been developed to address the need for continued longevity requirements in the Digital Fine Art market. Rag Photographique offers a unique extra smooth surface with a sensual feel. It also provides one of the highest achievable Dmax currently available on the market, making it ideal for fine art photography as well as fine art printmaking. Hahnemühle German Etching is a single side coated, acid free, 100% TCF pulp, age resistant traditional fine art paper optimized for inkjet. The name suggests a surface similar to an etching paper which will reproduce fine art and photographic imagery excellently. The printed side of this paper has been specially coated to offer excellent image sharpness, and optimal color gradation while still offering the aesthetic qualities attributed to traditional fine art papers. Canson Platine Fibre Rag is the combination of the premium 100% cotton Platinum paper that Canson has supplied for many years to the original Platinum and Platine photographic market, with the latest microporous coating, making the traditional darkroom paper now available for your digital printing. Setting the benchmark for Digital Darkroom papers, it provides the aesthetic and feel of the original F-Type Baryta Fibre paper, having a true pure white tone without using optical brighteners that are known to affect the longevity of digitally produced images. Its extremely high Dmax and exceptional grey tones make it the product of choice for the more discerning black and white as well as color photographic prints. Canson Baryta Photographique is a true Baryta paper developed for inkjet technology. It consists of an alpha-cellulose, acid-free pure white paper with the same barium sulphate coating as for traditional silver halide and a premium inkjet colour receiver layer. Baryta Photographique offers the look and aesthetic of the original darkroom baryta print and complies with the ISO 9706 standard for maximum longevity. This museum grade photo paper shows excellent black density and great image sharpness, making it ideal for black and white photography. Designed for photographers seeking to enhance their images with a metallic look, Slickrock Metallic Silver transforms an image into lifelike, almost 3D quality. This is an ultra shiny, true metallic inkjet paper with a unique instant dry coating for jaw –dropping image reproduction. Slickrock Metallic adds unprecedented depth to an image featuring exceptional reflective shine never seen before. This metal-like surface produces images that jump off the paper. Designed for photographers seeking to enhance their images with a metallic look, Slickrock Metallic Pearl 260 transforms an image into lifelike, almost 3D quality. This is an ultra shiny, true metallic inkjet paper with a unique instant dry coating for jaw –dropping image reproduction. Slickrock Metallic adds unprecedented depth to an image featuring exceptional reflective shine never seen before. This metal-like surface produces images that jump off the paper. Canson Museum Pro Canvas is a top grade professional canvas and is “OBA Free” (No Optical Brightening Agents). Manufactured with a high quality 100% pure cotton canvas base, coated with a new advanced technology of microporous coating. It is water resistant and specially designed for professionals in search of a Canvas that can produce true Fine Art Reproductions that require precision images with a very high resolution. Breathing Color's Art Peel is a peel & stick adhesive material made of 100% polyester fabric. It can be installed on almost any surface and remain adhered in all-weather conditions. Its dependable adhesive can be removed and reused multiple times without any alteration or loss of adhesion. Breathing Color's Photo Peel is a peel & stick adhesive material made of white vinyl. It can be installed on almost any surface and remain adhered in all-weather conditions. Its dependable adhesive can be removed and reused multiple times without any alteration or loss of adhesion. We offer over 30 different fabrics to choose from for digital printing. From cotton, nylon, silks, to linen, polyester, and more! Schedule an appointment to stop in and look at our samples. We offer a variety of papers from Hiromi Paper Inc.